Here at Zen-Shin we practice traditional Shotokan Karate which originated from Japan. 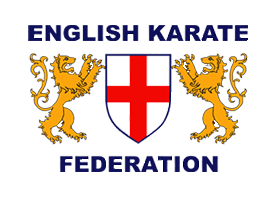 Z.S.K.A currently has 300 members Zen-Shin is a member of the English Karate Federation (EKF. ), which is the only Karate Governing Body recognised by the Sports Council. The pee-wee’s karate programme focuses on improving younger children’s basic motor and listening skills. These skills will help them enter society with a more confident and enthusiastic outlook. They will become better students at school, better listeners at home and more ambitious towards the future. We believe the time between the ages 4 and 6 are the most important years of a child’s development. Our programme will enhance positive development in a fun and motivating way. Our adult program is a great way to get and stay in shape, and learn valuable self defence skills at the same time. Our programs blend a great physical workout with practical real-life self defence techniques and are ideal for both men and women. We have karate classes all around Birmingham: Soho Hill, Digbeth, Sutton Coldfield, Erdington, Saltley and Harborne.